TRNAVA, Slovakia (September) - The 2018 Junior World Championships kick off September 17-23 and nearly 265 Greco-Roman wrestlers from 43 nations will make the journey to Trnava, Slovakia with hopes of becoming a Junior World Champion. Kamal BEY (USA), Kerem KAMAL (TUR), Amin KAVIYANINEJAD (IRI), and Aleksander KOMAROV (RUS) will all make the trek to Trnava with hopes of defending their titles from last year’s Tampere Junior World Championships. Aleksander Komarov, the three-time age-level world champion and most decorated age-level wrestler in the world wasn’t registered to represent Russia’s Greco-Roman Trnava squad at 82kg. Instead, Russia registered Shamil OZHAEV (RUS) at 82kg but has since changed their mind and entered Komarov. Komarov is the overwhelming favorite to win the 82kg gold medal, which would make it his fourth age-level world title. Since stepping on the World scene in 2015, he’s won every Cadet, Junior, and Senior tournament that he’s entered. In addition to the previously mentioned three age-level world titles, Komarov has won four European championships and four Senior-level tournaments. The tall task of handing Komarov his first international loss will be placed on the back of 2017 Cadet World finalist, Istvan TAKACS (HUN). Takacs will be representing Hungary at the age-level World Championships for the third time in as many years. Meanwhile, American Kamal Bey will have the toughest road to repeat as Junior World Champion, as every 74kg medalist from last year’s Tampere World Championships is listed alongside Bey at 77kg. Of the returning 74kg Tampere medalists, none will be targeting Bey more than 2017 runner-up, Akzhol MAKHMUDOV (KGZ). Bey defeated Makhmudov, 16-11 in the epic 27 points gold medal shootout that was voted as United World Wrestling’s No. 2 2017 Greco-Roman Match of the Year. The reigning Tampere bronze medalists that are enrolled at 77kg are Nasir HASANOV (AZE) and Sajan SAJAN (IND). Sajan, India's four-time World representative will be competing for the first time since his gold medal performance at the New Delhi Junior Asian Championships. 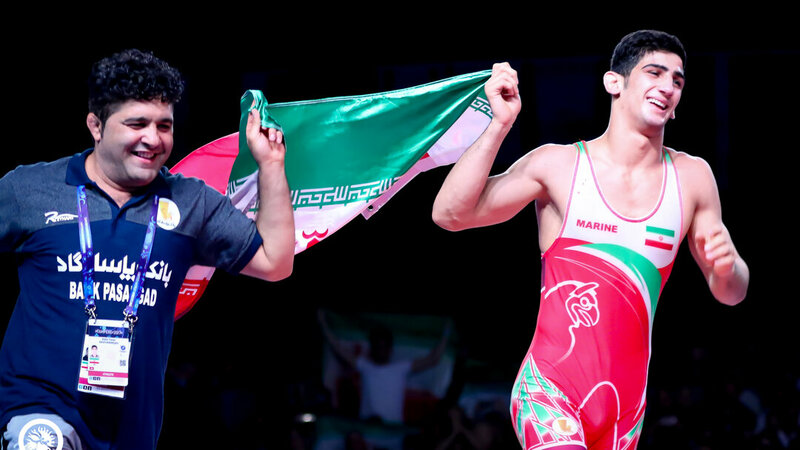 In the finals, Sajan defeated Iran's Shayan Hossein AFIFI (IRI), 3-0, claiming the 77kg gold medal. Rounding out the returning medalists at this weight is Nasir Hasanov who will be looking for his third straight age-level World medal after taking second at the 2016 Cadet World Championships and third a year ago at the Junior World Championships. Though the other two returning champions Kerem Kamal and Amin Kaviyaninejad will be tested, no returning Cadet or Junior world medalists are set to compete at 60kg and 72kg respectively. In addition to the four reigning Junior World champions, Cadet World champions Vladyslav KUZKO (UKR) and Cohlton SCHULTZ (USA) are also entered into the Trnava field. 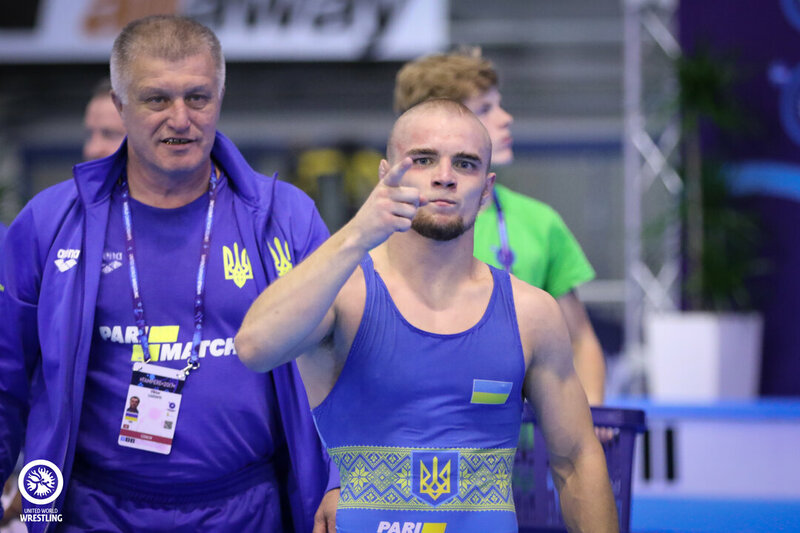 Kuzko will compete at 55kg, while Schultz is registered at 130kg. Greco-Roman action will kick off the World Championships on Monday, September 17 and will be wrestled through Wednesday, September 19.